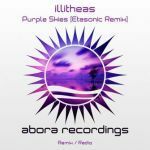 Abora stalwart Afternova presents his newest orchestral uplifting tune, a feel-good trackentitled Together We Are Strong. As Afternova fans always look forward to, the Original Mix features a magnificent, epic, and uplifting orchestral breakdown. Goosebumps are guaranteed. 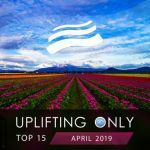 What is a little different from his other uplifting works here is the tempo of the piece: at 135 bpm it's slower than most other orchestral uplifting tracks out there. The Club Mix slightly speeds up the tempo, to 136, but also offers a very different presentation of the track's main ideas. The breakdown is not only much shorter than the original's but also very different. Like the original, it is also fairly short, making both mixes easy to fit into your busy sets. The release also includes two spectacular and uplifting orchestral mixes.